-- What would you do if you came face-to-face with perfection, and it looked just like you? -- A wonderful short story about a little girl called Savannah. She lives with her mum and dad and they have a little dog called Jessie. Savannah lives next door to her very best friend. Her name is Katie. Savannah's Happy Halloween Party is about the wonderful Halloween party that Savannah helps to organize with her family. 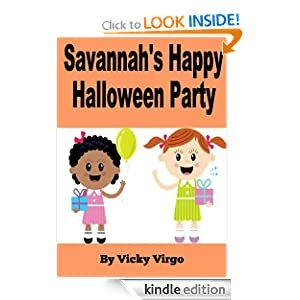 Discover all the exciting things that Savannah has to think about and do so that the Happy Halloween party is a success for everyone. This is the perfect story for any little girl who loves Halloween, fancy dress costumes, trick or treating and eating Halloween cake. Bonus – Find out about the free fun ebook you can download after purchase. 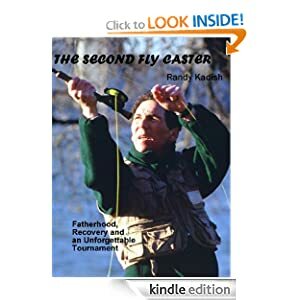 -- Erik, a young boy, is proud that his father, the winner of several state championships, is probably the greatest long distance fly caster on earth. But then a threatening prelude and an unexpected outcome of a casting tournament leave Erik reeling with unanswered questions about what once seemed to be only a sport. These questions linger and then, years later, deepen when Erik’s idealistic plans and actions are crushed when he experiences combat in the Vietnam War. He struggles, unsuccessfully, with his demons, until a seemingly accidental discovery lead him back to the ways and new meanings of fly casting. Through their prism Erik learns to see himself and the world in a forgiving light. -- The unthinkable has happened. The dead are walking! Humanity's fragile thread may be reaching its bitter end. Individuals and groups struggle to survive...some at any cost. Will there be anybody left? Or, is this just...The Ugly Beginning? -- Young Adult Literature with environmental and spiritual themes. The fast one who lived in the ocean had observed many humans through her long years. Always keeping her distance, she'd witnessed the bipedal species technological evolution. She'd watched their warfare, their harvesting methods. She'd watched humans playing on boats and on beaches, laughing and crying and fishing and building; and though she had beckoned to many humans over these hundreds of years, and though her forefathers had called out to many over thousands of years, not one human had ever listened. Fourteen-year old Ashton and his sister Autumn, younger by two years, should have drowned that day, a mile from the deserted windswept beach in Oregon where they gone to sail. But as they spiraled down in a whirlpool to certain death Ashton saw a bright white light, and in the blink of an eye, they were safe—rescued by something remarkable, or a fortuitous wave had ferried them right back to the beach. The next day, as Ashton thought about that light, wondering if he'd actually seen a large luminous hand under the tiny rowboat, he heard a whisper. In bed later that night he heard that same whisper...and again whilst cycling on the coast road: "Are you human. Are you aware?" Telepathy wasn't something Ashton new much about…he'd never suspected that he was capable of it…never gave it a thought, but... "Yes, I'm human. What do you mean "aware?" he asked. The voice then said, "Come, Ashton, come in the submersible." Ashton wasn’t a submariner, or an oceanographer, or even an adventurer, he was just a mischievous teen with an uncanny telepathic ability. But that's why he was chosen. 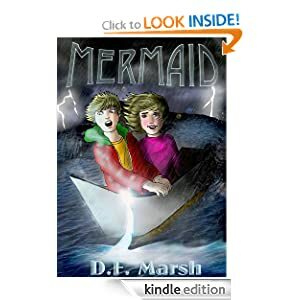 Now Ashton and Autumn will embark on an impossible journey… in a stolen submersible, into the deep sea, where they will find that the seafloor is not the bottom—there is a way to go deeper yet. 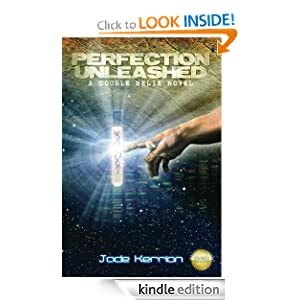 Below the seabed, traveling through ancient tunnels, vast undersea plains and subterranean eddies, following the telepathic instructions in Ashton's mind, they will move into a world as alien as another planet… and Ashton will discover what it means to be chosen. -- In Nell Lillington's small Midwestern town of the 1870s, marriage is the obvious fate of a young woman of some social standing. Yet Nell is determined to elude the duties and restrictions of matrimony. 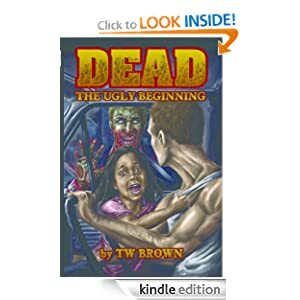 So when she finds herself pregnant at the age of 17, she refuses to divulge the name of the father and even her childhood friend Martin is kept in the dark. 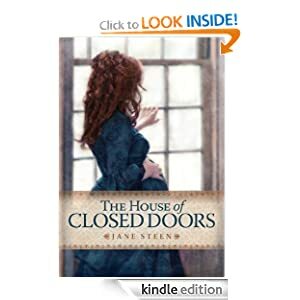 Nell's stepfather Hiram sends Nell to live at the Poor Farm of which he is a governor, to await the day when her baby can be discreetly adopted. Nell is ready to go along with Hiram's plans until an unused padded cell is opened and two small bodies fall out. Nell is the only resident of the Poor Farm who is convinced that the unwed mother and her baby were murdered, and the incident prompts her to rethink her decision to abandon her own child to her fate. But the revelations to which her questions lead make her realize that even if she manages to escape the Poor Farm with her baby, she may have no safe place to run to.